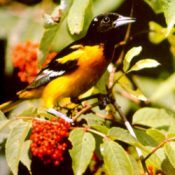 What is Bird Friendly Coffee or Shade Grown Coffee? Bird friendly coffee is coffee grown on farms under a shade-tree canopy, forest-like habitat. If you drink coffee and love birds, then you might as well drink shade grown coffee which benefits birds. 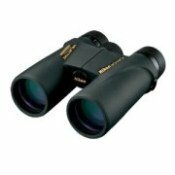 Bird friendly coffee mostly benefits neotropical migratory songbirds that winter in Central American rainforests. Habitat loss, especially tropical rainforests, have caused a decline in migratory songbird populations. And sun coffee plantations have contributed to this loss. Basically shade grown coffee benefits birds because it provides far better habitat than sun-grown monoculture coffee plantations. On a shade grown coffee farm, there is structural plant diversity that provides food and shelter, not only for bird species, but for many other organisms, including mammals, reptiles and insects. We have been speaking in the general sense that "bird friendly coffee" is any coffee grown on shaded farms. But actually the phrase, "Bird Friendly®" has been trade-marked by the Smithsonian Migratory Bird Center of the National Zoo. Coffees with this logo mean that they are certified as shade grown and organic by an independent third-party inspector using the Smithsonian's criteria. And Bird Friendly® coffees contribute 25 cents per pound to support Smithsonian Migratory Bird Center research and conservation programs. 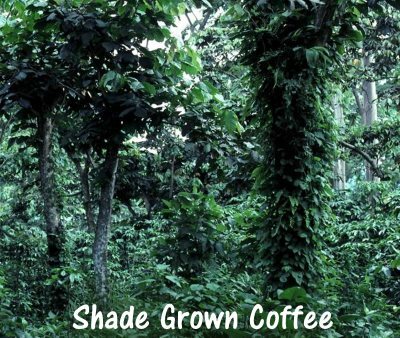 Just because a package of coffee is labeled as "Shade Grown" doesn't necessarily mean is good for the environment or the birds. Some shade grown coffee is grown in the shade of non-native trees that don't attract native birds or grown on farms that rely on pesticides. So look for the Bird Friendly® seal (from the Smithsonian Migratory Bird Center of the National Zoo), or do some research on your own to find out where your shade grown coffee is actually grown. 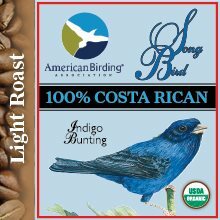 Song Bird Coffee is a shade-grown coffee brand and is the result of a joint venture between the American Birding Association (ABA) and Thanksgiving Coffee Company. 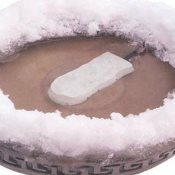 Fifteen cents from each package are donated to the ABA. Similar to Bird Friendly® coffees, Thanksgiving Coffee uses verified shade grown coffee. This means that its CEO or the importer has personally inspected the farm to insure that the plants are properly grown in the shade. The Thanksgiving Coffee Company has been a socially and environmentally aware coffee producer for over 34 years. Historically, coffee was originally grown under shade. These coffee plant species were sun-intolerant, requiring shade. But in 1972, new hybrid, sun-tolerant coffee varieties were developed that yielded 2-3x more coffee beans than shade grown varieties. More coffee = more $$ = clearcutting shade farms and rainforest habitat. Of the 6 million acres of coffee lands, 60% have been stripped of shade trees since 1972. So essentially sustainable, shade grown coffee farms maintain an alternative, forested habitat for songbirds. 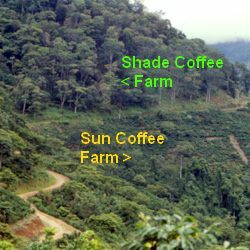 n fact, shade coffee farms support over 150 species of birds which far exceeds sun coffee plantations. These shade farms also benefit other animals and plants in addition to songbirds. 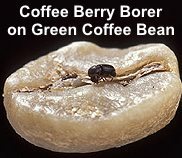 The coffee berry borer is estimated to do a half billion dollars worth of damage to coffee crops every year. Farmers are now realizing the benefit of insect-eating birds. For example, in Jamaica it is estimated that warblers can reduce damage by $237 an acre to prized Jamaican Blue Coffee and other high mountain crops. Another score for the birds! 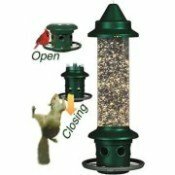 Drink bird friendly coffee and create songbird habitat...An even better way to start your mornings! Where to buy Bird Friendly® Coffee? 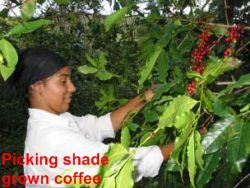 Use the Smithsonian search form to search by state for coffees on the market that are certified as 100% shade-grown and organic, meaning that they are grown without the use of chemical pesticides that poison the environment, and are bird friendly. For more information about bird friendly, shade grown, fair-trade and organic coffee labels and what they mean, go to the Cornell's All About Birds & Coffee.